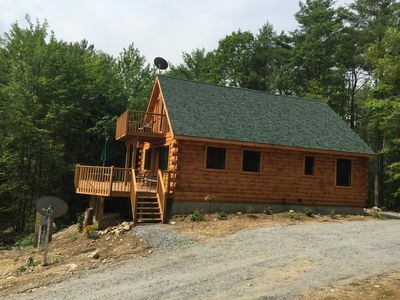 Welcome to Full Circle Lodge, a brand new 4 season home that is almost complete. 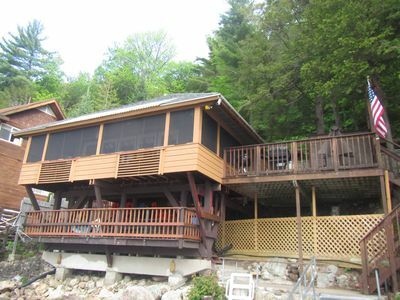 Full Circle Lodge is situated a stone’s throw from the private association beach, docks, boat landing and beautiful Schroon Lake. 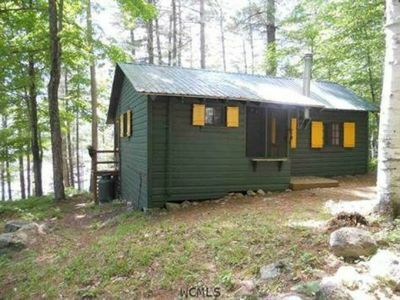 The association was once known as Camp Idylwild, a boys summer camp, and the original tunnel that connected the camp to the lake still exists right outside our door. It also gives you easy walking access to Sticks and Stone’s restaurant, a local favorite which is a 5 minute walk. 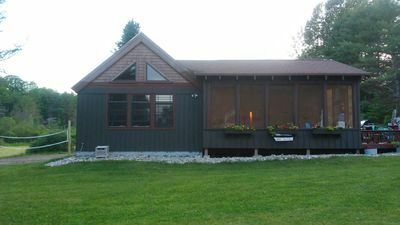 The home itself enjoys a large backyard, a front screened in porch and a fire pit area that offers a beautiful view of the lake. 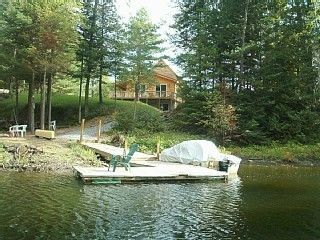 Walk down the hill 100 steps and you will come to the water's edge, where you will find the association dock and shed where we store two kayaks for your use. We also have a few stand up paddleboards, all equipped with paddles and lifejackets and helmets. 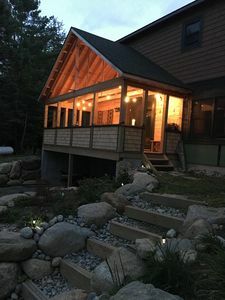 We are only two miles away from the heart of Schroon Lake Village which has several small boutique shops, restaurants, bars, ice cream, it’s very own movie theater and a huge private park and beach. 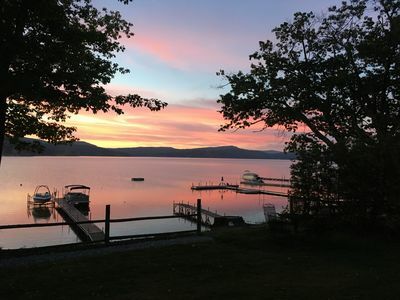 They host a Fourth of July parade, a Labor Day garage sale, a Fall Adirondack marathon as well as hoedowns on Wednesdays and live music every Monday in the summer. 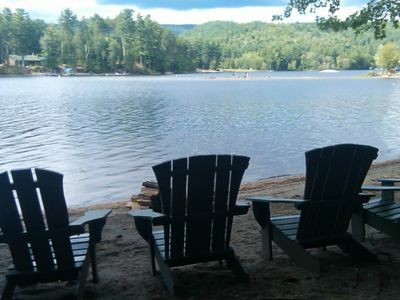 Schroon Lake is also home to the Seagle Colony, which offers fantastic music and theater all summer long. 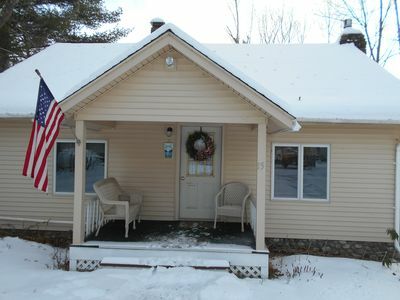 In the winter, we are situated right off the snowmobile trail system that runs hundreds of miles throughout the Adirondack park. 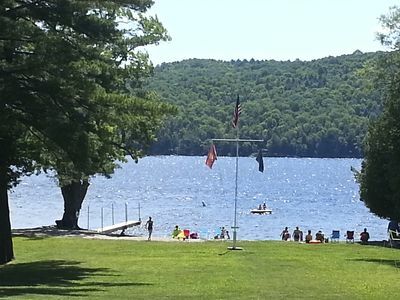 Schroon Lake is only an exit away from the new Frontier town and Lake George. 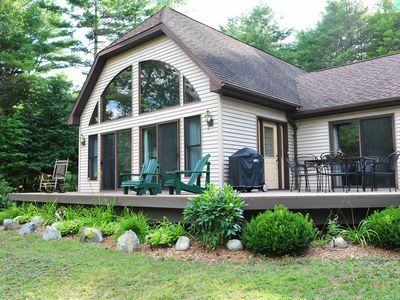 It is less than an hour from the high peaks region, Lake Placid, as well as Old Forge and Central Adirondacks. We are 30 minutes from Gore Mountain. 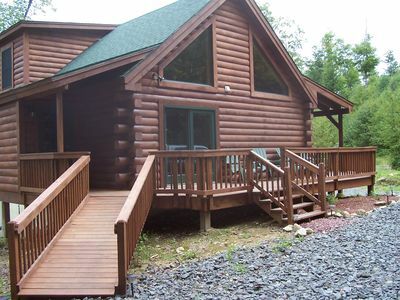 Full Circle Lodge enjoys a 30x10 foot screened in porch with plenty of comfortable seating. There is also a very long picnic table that seats up to 14. 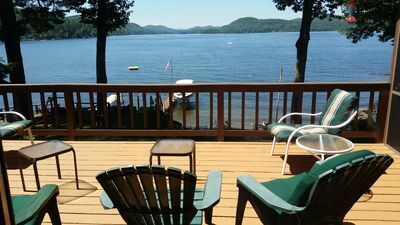 Outside of the porch, enjoy a firepit area with Adirondack chairs and enjoy the beautiful view of the lake. Listed below is a room-by-room description of indoors. 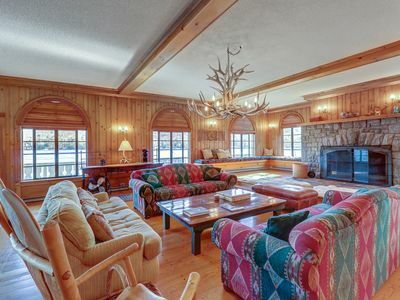 THE GREAT ROOM has a large 8 ft by 8 ft slider that looks out to the water and mountains. 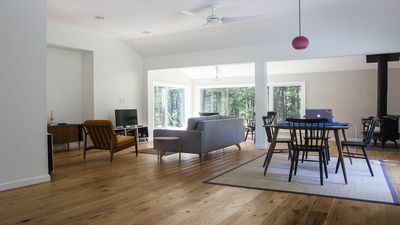 Plenty of seating is available with couches, chairs and rocking chairs situated throughout. For those with other interests, this room contains a variety of books, games and puzzles as well as a television and Amazon Firestick to use with our free internet. THE KITCHEN is fully equipped with plenty of cabinets, and a lovely large granite countertop space. 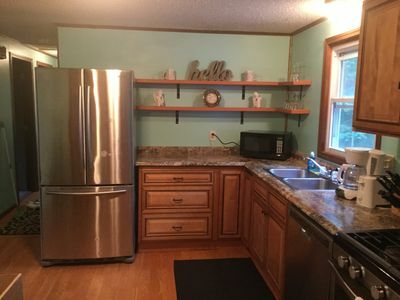 The appliances include a refrigerator, gas stove, microwave, toaster and coffeemaker. THE DINING ROOM has large windows which look out to both the water and the woods, with table that seats eight comfortably, with extensions to seat up to 12. POWDER ROOM, closet and lots of storage space for ski and beach gear. MASTER BEDROOM has a queen bed, walk in closet, chest of drawers, and chairs along with a vaulted ceiling and beautiful view of the lake. This bedroom also offers a PRIVATE BATH with soaking tub and double shower, equipped with blow dryer. BEDROOM TWO has a queen bed, closet, chest of drawers and chair. BUNKROOM has two sets of bunk beds - full bed with twin bunk. GUEST BATH is a full bath with tub/shower and vanity equipped with blow dryer. THE LAUNDRY ROOM has a washing machine, dryer, small ironing board and iron. 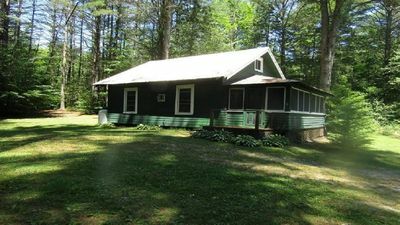 Renting the cabin at the price listed on this website is for the MAIN CABIN only. 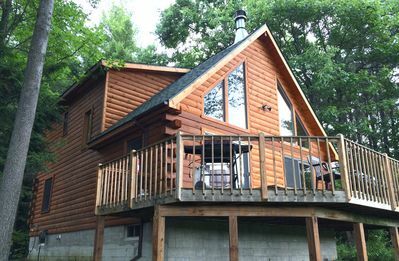 The following are details for the adjoining 1200 ft. back cabin which can be requested for an additional cost. Check with owner on availability. 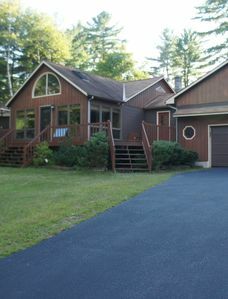 Open floor plan, with wood burning stove, fully equipped kitchen with island and new appliances. There is also a murphy bed in corner behind staircase. Microwave, electric stove, coffee maker, toaster. 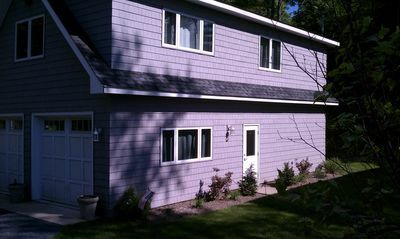 BATHROOM has a shower stall, sink and toilet and is ADA accessible on first floor. LOFT is very large, with queen bed and futon. SMALL OFFICE has a twin bed, storage shelf and stool. BATHROOM has a shower/tub combination, sink and toilet. 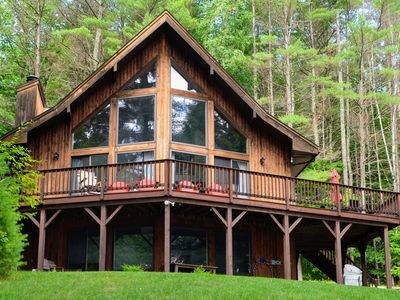 Full Circle Lodge is launching its first rental season of welcoming guests through its doors. Check-in available any time after 3:00 PM and check-out by 10:00 AM. Please feel free to email with any additional questions or picture requests. We look forward to your visit. Please visit our site at for more information.